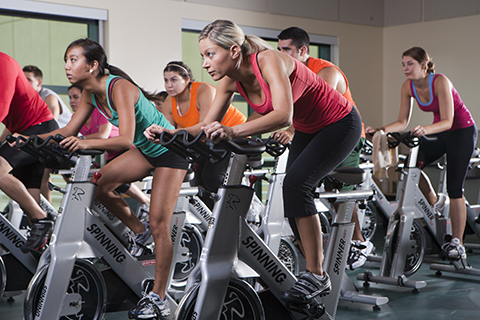 Studio Cycling is an indoor cycling class that provides an intense cardiovascular workout set to music. Classes simulate riding on various types of terrain such as hills and flats by adjusting the resistance on the stationary bikes. Both video and non-video classes are offered throughout the week. Visit our schedules page for the current studio cycling class schedule.